What were some of your favorite childhood memories? For many of us, we might answer with days spent outside, camping in the backyard, riding bikes, building forts, watching Saturday morning cartoons, or playing pick-up games of ball with our friends. We occupied our time hanging out at a friend’s house or visiting the local parks. Now, compare our childhoods to those of our sons and daughters. 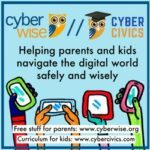 While our children might enjoy many of the same activities we did, there is a stark difference between the two childhoods: the role of technology. Our kids have never had to rely solely on the Library to complete research, wait for dial-up connections, or lookup numbers in a phone book. Today, they can stream videos, swipe their phones for information, and chat with their friends without ever leaving our homes or getting up off the couch. We are raising a generation that can’t remember a time before the Internet, wireless technology, and Smartphones. While this can be a good thing, the lure of technology might be preventing our children from heading outside and exploring nature’s green spaces. 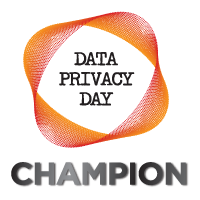 It’s no secret that today’s technology has revolutionized the way we communicate and interact. However, along with all the perks, there are some surprising drawbacks to our beloved cell phones and tablets. We need to realize that the average teen spends about 9 hours a day consuming media in some form. Sure, this can happen by watching television, but a majority of these hours are spent scrolling social media, streaming videos, or playing video games on their digital devices. That is more than most of us spend at our full-time jobs! Feelings of anxiety, depression, and low self-esteem have been documented when people overuse social media. Joint and neck pain can be caused by poor posture and lacking ergonomics. Technology and devices provide fast paced stimuli which can alter brain development within the prefrontal cortex that increases the probability of addictions forming to fast paced stimuli. Glowing screens and interruptions from devices can disrupt sleep patterns. Devices limit face-to-face interaction which can interfere with speech, bonding, and communication skills in young children. Exercising outdoors allows kids to develop observation and creativity skills. This causes higher levels of readiness to learn and test scores. Exposure to the outdoors boosts immune systems via beneficial germs and bacteria in the dirt with healthy doses of Vitamin D from the sun. Studies show being in green spaces can reduce ADHD symptoms in kids. Sunlight exposure guides our natural biorhythms and can help kids form healthy sleep schedules. Increasing outdoor physical activity lowers the risks that a child will struggle with obesity, hypertension, or heart disease in life. We know that a lot has changed over the years,but a large reason our sons and daughters stay inside more is due to their devices. 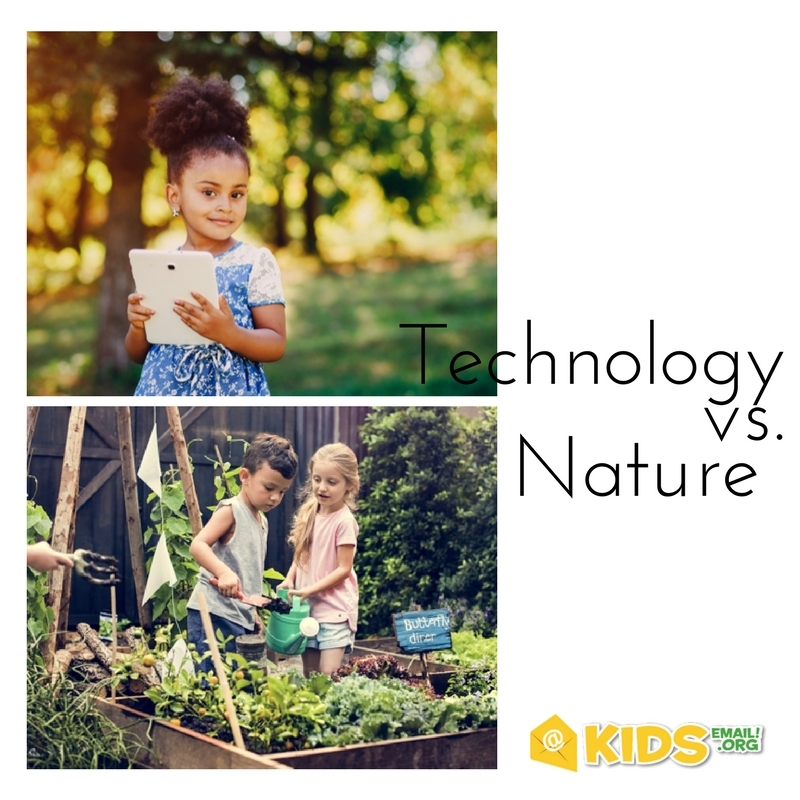 Technology isn’t going anywhere anytime soon, but we can make an effort to reduce the negative impacts on our children’s lives by choosing to balance technology in our homes and provide plenty of opportunities for kids to head outside. Allow kids to earn technology time for every hour they spend outdoors. Take the family outside for one hour daily. Play a game of catch, hike, garden, or hang out together. Create technology-free zones. Some good ideas are to keep electronics out of bedrooms and uninvited from family dinners. Require the powering down of all devices during set “curfew” hours each night. Attend free or low-cost events in your community at local parks. How do you balance technology in your home? ← Win 1 Year of KidsEmail PLUS a Gift Card for a Friend!